Image courtesy: Daniel Schulman, Visual Art Director, DCASE. Last year, the 45 years old Malcolm X College, one of the City Colleges of Chicago, was demolished. With the efforts of some preservationists the mural doors were saved. These are now in exhibition at Chicago Cultural Center. 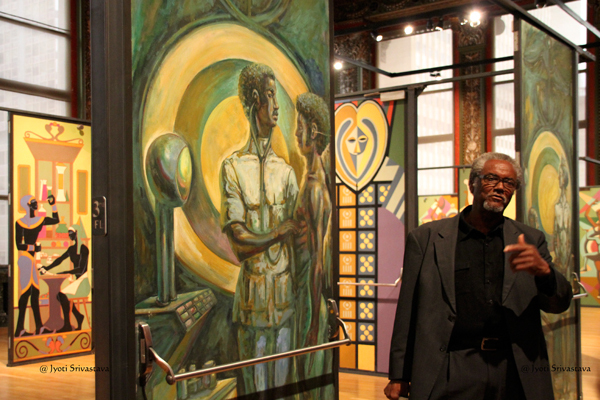 Eugene “Eda” Wade – painter, printmaker, sculptor and muralist – was born in Baton Rouge, Louisiana. He received BS in art education from Southern University in 1964 and MFA from Howard University, Washington D.C. in 1971. 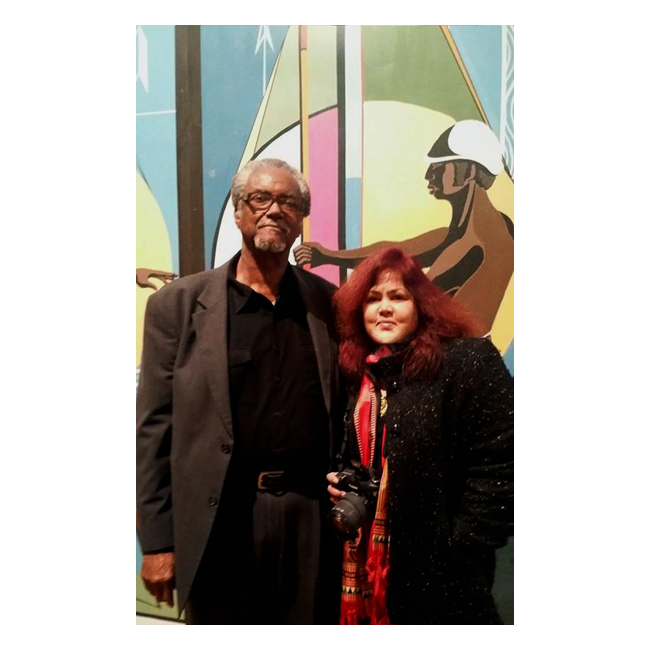 He was an art professor at Kennedy City College from 1979 until his retirement in 2005. After which he moved back to Louisiana where he now teaches at the Southern University. Wade was one of the nation’s pioneers of the community mural movement. 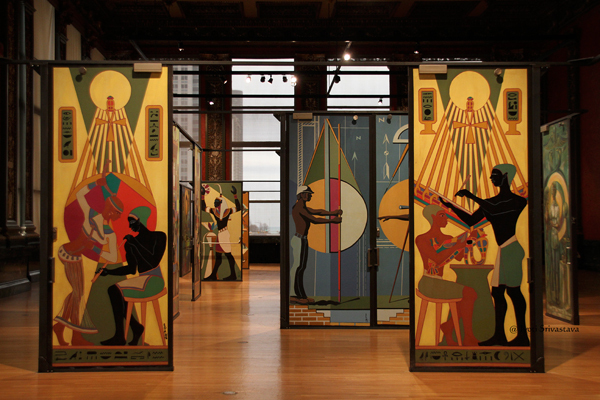 He frequently painted with William “Bill” Walker, with whom he helped found the Chicago Mural Group in the 1960s. Now it is known as the Chicago Public Art Group.